Veteran’s Day is long past but, as I do each year, I stop to remember my Dad, Robert D. Creson, a veteran of WWII. 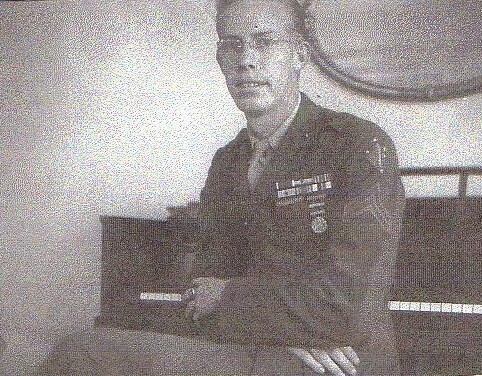 Dad was a proud Marine, who fought in the Pacific with the First Marine Division, and ended the war in China before coming home. I honor our men and women serving our country who distinguish themselves on behalf of all of us. I was just catching up on some past recorded TV shows watching CBS Sunday Morning and a segment done by James Gordon Meek, Honoring Those Amidst Gardens of Stone. Meeks was present when President Obama and his wife, Michelle, visited Arlington National Cemetery this past Veteran’s Day. 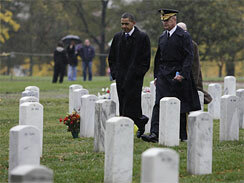 Meeks says, “I saw the President embrace grieving widows, mothers and battle buddies tending to the graves of loved ones. He asked about each one. And then the President suddenly extended his hand as he strolled over to Dave Sharrett’s grave.” This is where Meeks was honoring the fallen son of one of his former teachers. Worth a quick read if you have the time…some things are a-political. This is very nice Bob, thanks for sharing.